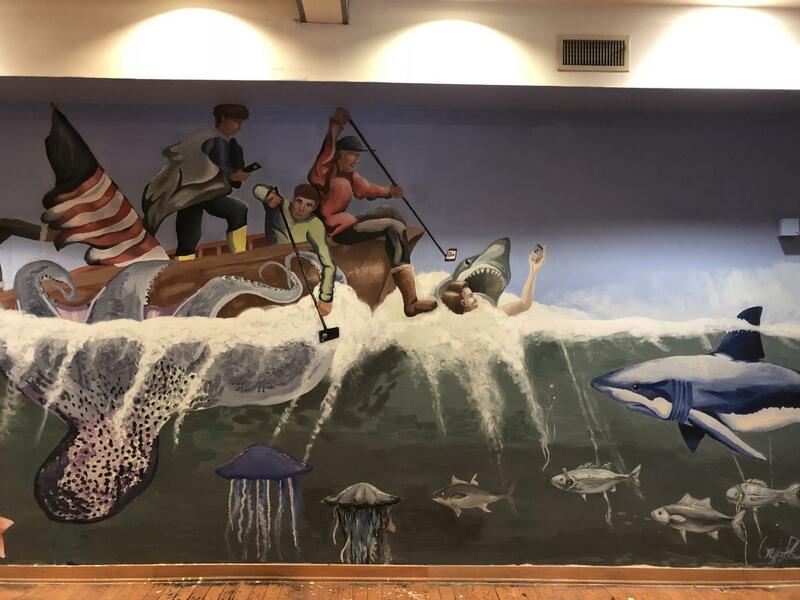 Fish and sharks swarm a wooden raft as an octopus grabs hold of a vessel in a mural in the Museum of Contemporary American Teenagers. B-CC students created the museum after an assignment in their IB Anthropology class. Photo by Rebecca Hirsh. Fish and sharks swarm a wooden raft as an octopus grabs hold of a vessel. Oblivious to the danger surrounding them, teenagers take selfies with the wildlife as they inch toward the water. This image, part of a larger mural, is one of 30 exhibits at the Museum of Contemporary American Teenagers, a museum with art exhibits curated and created entirely by B-CC students. The gallery opened Dec. 7 to Dec. 9 and reopened Dec. 16 and 17 in the space that formerly housed Japanese restaurant Tako Grill and will become Marriott International’s new headquarters. The idea for the museum began as a final assignment in B-CC teacher David Lopilato’s IB Anthropology class last year. Lopilato asked his students to design hypothetical teenage culture museum exhibits, and the results left him so impressed that he decided to make them a reality. The B-CC community responded positively to the project, which required the museum to create a RSVP system to prevent fire hazards posed by large numbers of visitors, B-CC senior Evan Burke said. The experience created a community outlet for artistic Barons, bringing together many different students. 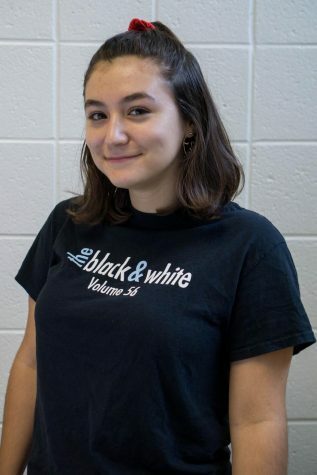 “I’ve never been involved in a big school thing because those are usually sports, but it’s great that artsy-shmartsy kids have a thing now,” B-CC senior Dassy Swoliaski said. Although the museum was short-lived, the creators hope to inspire other high schools to create their own versions and to spread the message that art that is both by and for adolescents merits just as much respect as art made by adults. 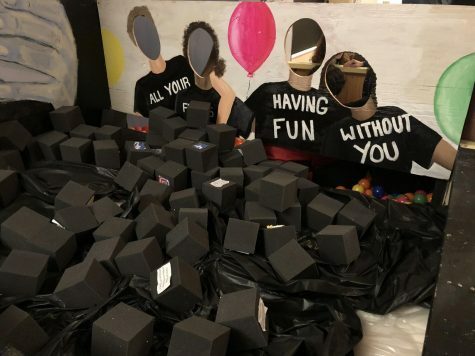 Visitors can jump into a pit of social media posts on foam cubes as part of the exhibit “FOMO Pit.” Currently, teens compare their lives to people’s posts on social media, leading to stress and the feel of missing out. Photo by Rebecca Hirsh. A dark mural overlooks the “FOMO Pit,” a play on foam pit, where visitors can jump onto foam blocks covered in social media posts. 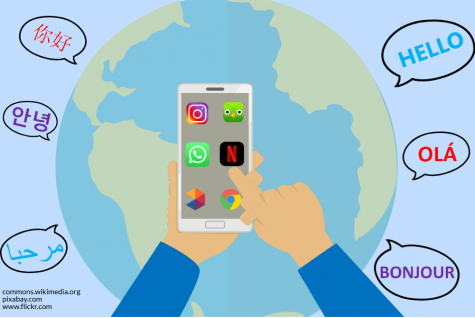 This piece is meant to evoke the FOMO, the fear of missing out, many teens feel as they obsessively compare themselves to others’ seemingly perfect lives displayed through social media. The piece “Never Too Young to Love” was inspired by Cobb’s personal experience with teenage love. 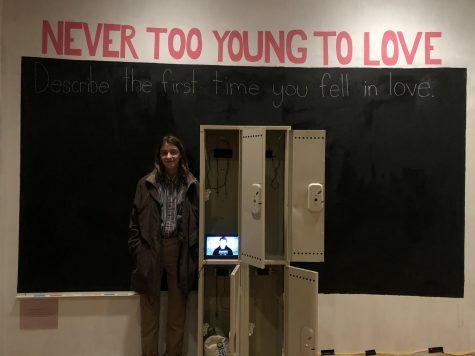 The display features a set of four lockers, each of which holds an iPhone playing a video compilation of interviews she conducted with five B-CC seniors about their experiences with love. Cobb wanted to dispel the notion that young love can’t be true love. A video compilation of interviews with B-CC students about young love plays in lockers. 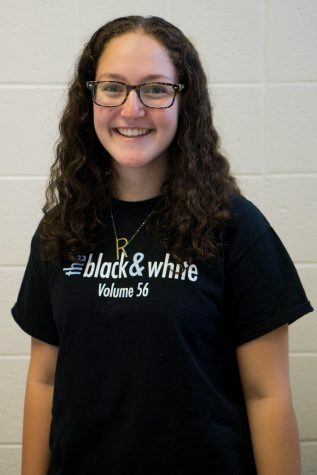 Senior Sophie Cobb created the exhibit to argue that young love is still true love. Photo by Rebecca Hirsh. Like many of the exhibits, “Never Too Young to Love” is interactive. A chalkboard hangs behind the lockers, asking guests to describe the first time they fell in love. “I feel like teenagers are kind of afraid to speak out about how they feel in these relationships and proudly tell everyone ‘I’m in love!’ because they’re afraid of that reaction from adults,” Cobb said. One of the most poignant exhibits in the museum examines the fear school shootings create. Underneath replicas of drawings by the children killed in the 2012 Sandy Hook school shooting sits a single school desk. On it, a tablet with headphones plays 911 calls and gunshot audio from mass shootings. In the basement, an entire room is sectioned off to host the “Maze of Teenage Mental Health.” A path, lit by twinkling lights, guides visitors through a dark, graffitied room. 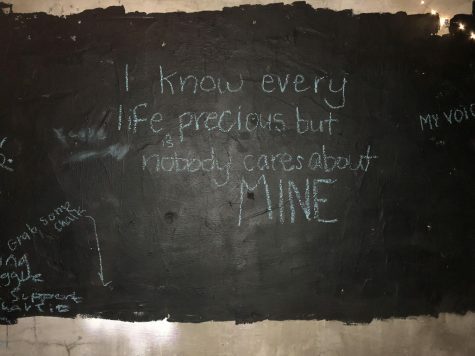 Toward the entrance, phrases like “I know every life is precious but nobody cares about mine” are written on the wall. The walls in the “Maze of Teenage Mental Health” start as dark and depressing, but transition to uplifting. This phrase comes from rapper Logic’s song 1-800-273-8255. Photo by Rebecca Hirsh. The chalked notes gradually become more positive as visitors move through the room, with expressions like “Everything will be all right” and “Your story is not over yet.” Visitors are encouraged to add their positive and negative thoughts to the walls and to take a photo of the exit door, which lists the numbers of suicide hotlines. This exhibit, which focuses on common perceptions of drug dealers, is also hosted in the basement. Through a hole in the ivy-covered mesh sectioning off the space, visitors see what looks like a typical teenage boy’s bedroom. 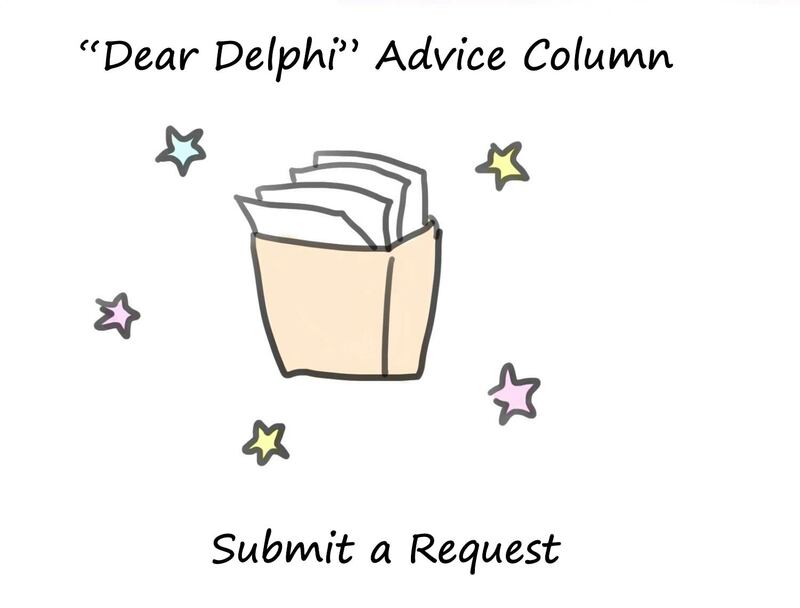 There are textbooks, Vineyard Vines polo shirts and lacrosse paraphernalia. When they take a closer look at the room, however, there’s cash, a Dark Web tab open on a laptop and bags of drugs are around the room. The outside of the exhibit is meant to imitate the Capital Crescent Trail, an innocuous community pathway by day and a spot for drug deals at night, B-CC senior Ezra Meyer said.